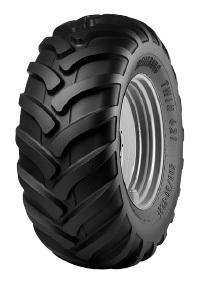 A complete range of low ground pressure tires suited for agricultural machines in heavy and severe applications. The unique bias-belt design, maximizes the ground contact area, improving flotation and traction. The rounded shoulder ensures minimum soil compaction.